Is the hustle and bustle of Rome getting tiring? Want to see what the Italian countryside is all about? Interested in history, wine, and amazing food? Then skip Pompeii (where all the tourists go) and head on over to the quaint town of Orvieto in the Umbria region. Train from Tremini Station in Rome—get second-class ticket to Orvieto—it’s a short 1.5 hour trip into the beautiful countryside. Once at the Orvieto train station—go outside and take the Funicular terminus up to the top. 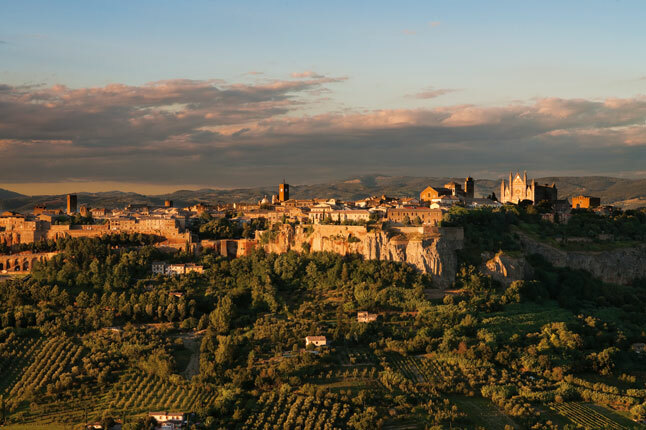 Orvieto was built on a steep hill made up of volcanic ash stone. Walk up to the Duomo stopping in beautiful wine and artisanal pottery shops along the way. Get lost! Wonderful town to wander streets and duck in small shops. 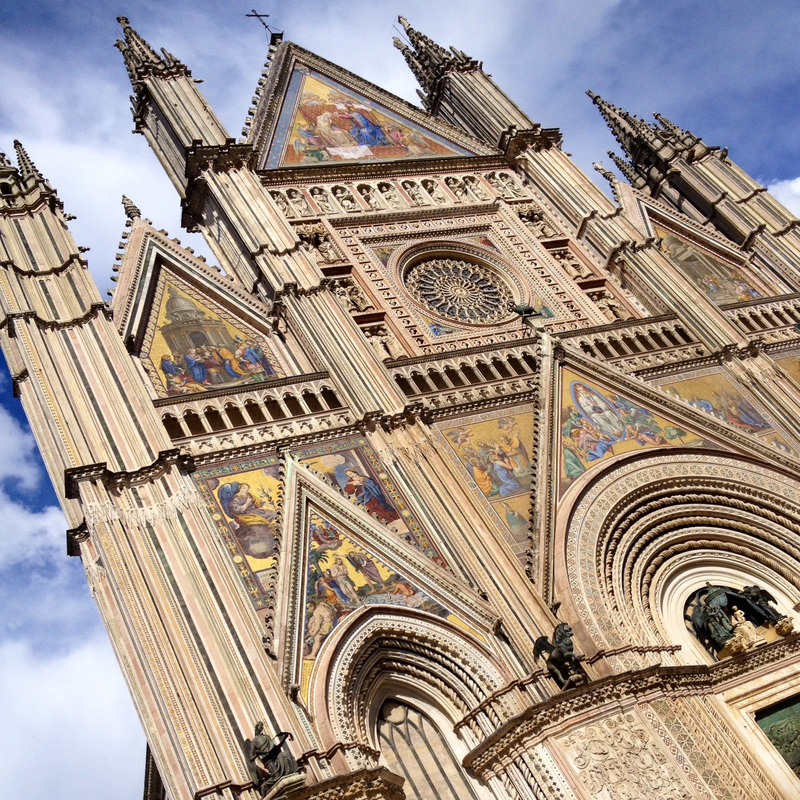 Orvieto Cathedral is one of the most beautiful in all of Italy and is considered one of the world’s greatest. Built in the 13th and 14th centuries. The Underground City: The city of Orvieto has long kept the secret of its labyrinth of caves and tunnels that lie beneath the surface. Dug deep into the soft volcanic tufo, these hidden and secret tunnels are only now open to view through guided tours.